Who is Pierre Matisse? The answer seems to be as complex as his life. With a most extraordinary view of the world, Pierre has brought his journey into focus by using art to express his varied experiences. Having lived the entire spectrum of emotions, it is no surprise that his work reflects passion, beauty, joy, love, freedom and his faith. One is drawn to Pierre's work because of its intensity, power, and depth of color. However, on closer inspection the drama of the scene plays out until it feels as though you are part of the picture. As with most projects, first there needs to be an idea. In this particular instance Pierre H. Matisse, The Idea Man, is also an integral part of the story. 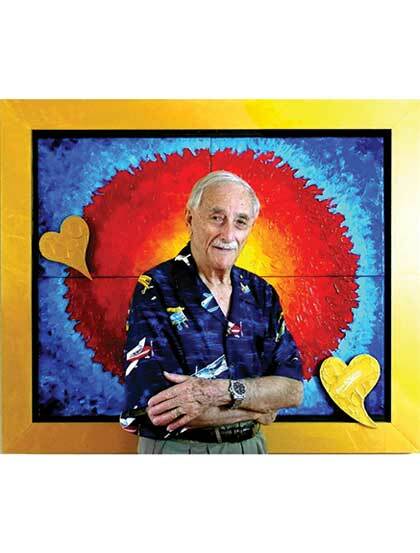 Pierre was born to artist parents in Paris on February 1, 1928. His father, Jean Matisse, was a sculptor, and his mother, Louise Milhau, was a painter, sculptor, and ceramist. 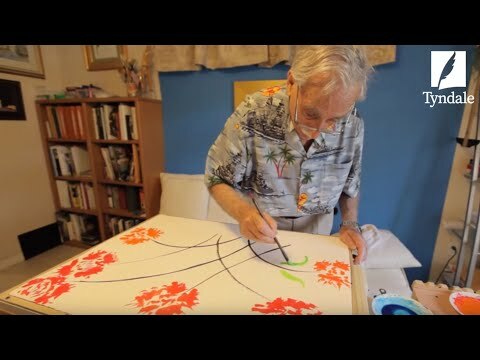 Being the grandson of Henri Matisse, he grew up immersed in the world of art. Pierre's childhood revolved around the artistic life of Paris and the French Riviera. During his early childhood years, his family lived in both France and Spain. Besides his grandfather, Pierre had the opportunity to meet and spend time among some of the most famous artists of the twentieth century: Pablo Picasso, Georges Braque, Aristide Maillol, Jean Effel, Salvador Dali, Fernand Léger, Maurice de Vlaminck, and Auguste and Louis Lumière. As a teenager, Pierre was involved in a world that experienced the cruelty, intrigue, horror, and destruction of war. Both Pierre and his father were heavily involved in French underground activities during WWII. Before the war ended, his grandmother, Amelie Matisse, and her daughter, Marguerite, had been imprisoned for their subversive activities. Both Pierre and his father were on the run from the Nazis for their efforts in aiding British spies and saboteurs. Occasionally they engaged in their own sabotage efforts. Some of these stories are amazing! When he was sixteen, Pierre found himself in Normandy, forty miles from the beaches where the D-Day invasion was taking place. For weeks he was caught behind the German lines before making it to no-man's land between the Allies and the Nazis forces. Once liberated, he served as a translator between the British and French authorities, helping to repatriate the French civilian refugees displaced by the battle of Normandy. When the war ended, Pierre worked on the restoration of the art and historical monuments damaged by the war in France. At nineteen, he volunteered for a French commando paratrooper unit in North Africa, fighting in the undeclared civil war with Algeria. After finishing his tour of duty, he returned to France and earned a PhD in antique furniture restoration and authentication. In the early 1950s, Pierre emigrated to Canada with his family, before settling in the United States in 1965. A naturalized US citizen, Pierre is international in his thinking with ties to France and Canada. His family tree includes French ancestors, some traceable back to Charlemagne, as well as Germans and Spaniards, including Mediterranean pirates. Pierre is both a sailor and a pilot. He is a man who has not lost his sense of wonder of life, someone who is inquisitive, full of energy, and open to every possibility, sure in his knowledge of himself, truly his own self. As an artist, Pierre has always pursued his work in a generous manner. In the 1970s, he created a series of landscapes of the St. Johns River in Florida to document its ecological diversity. The paintings were donated to the Museum of Art in Deland and are part of its permanent collection. Pierre has also given or created commissioned pieces to help organizations such as Project Hope, The American Red Cross, Variety Clubs International, The National Epilepsy Foundation, Music Educators National Conference and Fame, UNICEF Orphans Foundation, The Sunrise Children's Hospital of Las Vegas, The Arnold Palmer Children's Hospital, The Denver Children's Hospital, Make-A-Wish Foundation, A Community of Angels, The Palm Beach County Jewish Guild for the Blind, The Singapore Committee for UN Women, First Candle Organization, The United Nation's Women's Guild, Code Amber Organization, The Boggy Creek Gang, The Hole-in-the-Wall Gang, and many others. After twenty years as a cartographic manager for a US government agency, Pierre "retired from conventional work in 1990." Pierre is using his creative talent and boundless energy painting, writing, teaching, and refining an art form known as cut outs and translating different mediums into new avant-garde mixed media. He now has added hand-pulled linocut prints, Sumi-e painting, photography as art, and video production projects. This new artistic exploration, in addition to using his art to help others has become the driving force in Pierre's life. Above all, Pierre believes in faith and freedom . . . as do all true artists. Who is Pierre H. Matisse?  A gentle temperament, never accepting the horrors of war, yet understanding the need to fight injustice, persecution, and tyranny. Pierre H. Matisse is an idealist. His faith and God-given talents lead him to hopes and dreams of a better world for future generations, while creating works with passion and gusto . . . using his art and generosity in pursuit of these goals each day.